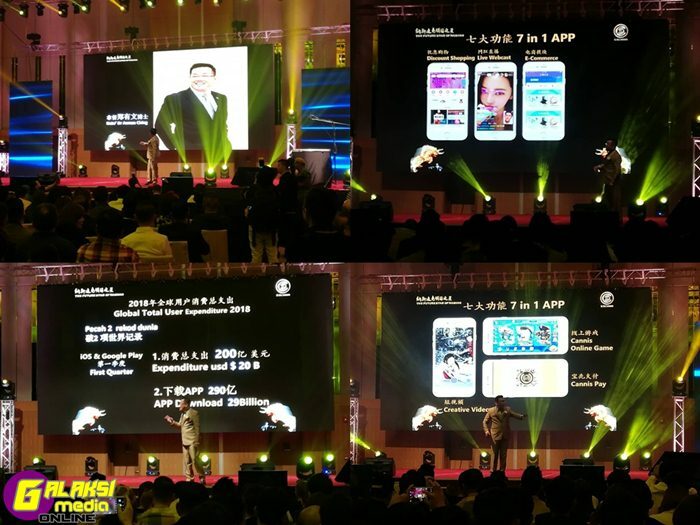 (Sunday, 21 Oct 2018) – Cannis mobile APP accumulated hundred thousand of users in less than two (2) months time, forming a new APP trend, and is bound to become the upcoming greatest star in Nasdaq, United States. 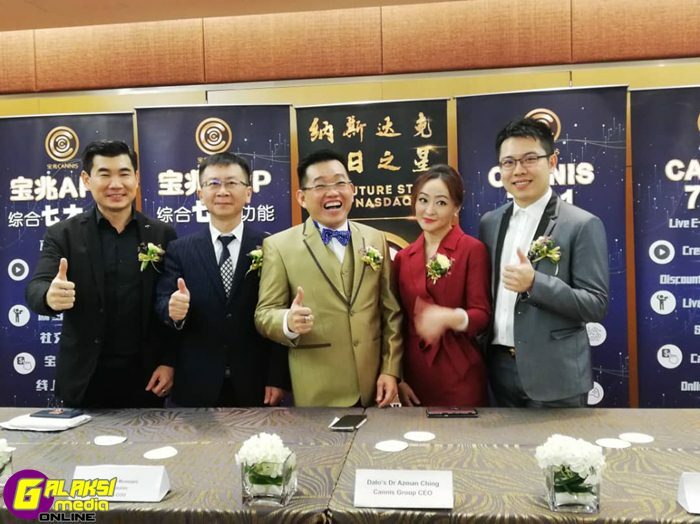 Cannis continuously invests in the most popular industries since early 2018, namely the technologies, films, beauty, preventive medicines, latest technology farming etc..With the corporation with their strategic partners, Cannis have well extended their markets in many South East Asia countries rapidly, and expected to soon be listing on Nasdaq. 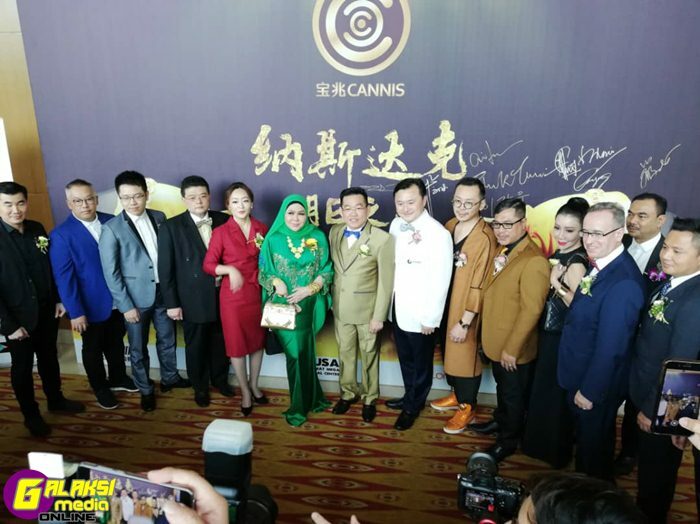 Chief Executive Officer Dato’ Dr. Ching Eu Boon also stated during Cannis’s 3000 pax conference “The Upcoming Greatest Star in Nasdaq” that Cannis’s partnership are not limited to latest technologies, such as the digital technology, huge database, artificial intelligence, but also with filming, preventive medicines and beauty industries. The third (3) quarter of year 2018 has been the most profitable season for the App Stores. The comprehensive app download amount in said season on App Store and Google Play has exceeded more than 29 billions, 10% increment as compared to the past. While the globally consumer spending has reached nearly 20 billion US dollars, an increment of 20% in comparison to the same season in the past, both set a new historical record. Analysing the App categories under increments of downloads, games, entertainment and video broadcasting App have been the most downloads and are found as the factors. The strong performances of the two (2) latter types of Apps show a general demand of market for creative contents. Overall, the third (3) quarter of year 2018, App Store and Google Play both had historical higher downloads and consumer spendings. This fully demonstrated the market trend of an App, which continues to rise depending on the popularity of smartphone usage, providing a non-stoppable spendings and considerable development potential. Cannis focuses on the fastest-growing industries, providing an integration platform, creates a powerful 7in-1 function. 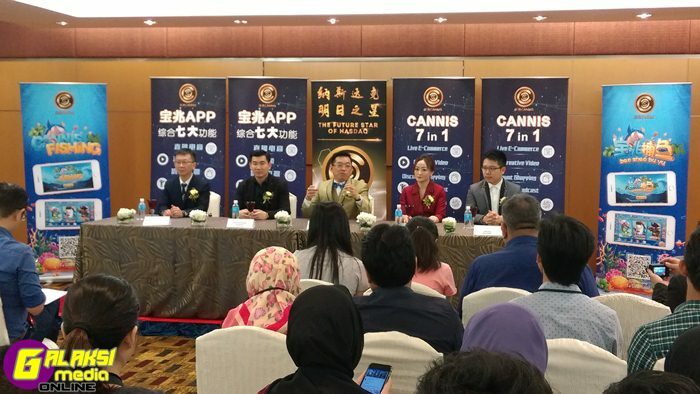 Cannis App not only incorporates innovative functions every month but also selectively invest huge funds on offline trending industries, hoping to connect offline customers’ overall spending flow with online databases, so as to start building the O2O model, letting the front-end marketing promotions, onand offline member streaming efficiently, and back-end goods delivery services become smoother. Strategic partners present on the day include EMPRO’s Dr. Coco Alex; Producer of Da Motion Production House, Encik Along; Creative Director of (In Chinese Text), Miss Bo Bo; LongTV Sdn. Bhd.’s Mr Chis Yen; Weber PDT Cancer Treatment Health Centre’s Prof. Madaya Dr. Martin E. Roberts; CEO of (Text In Chinese), Mr. (Text In Chinese) and Dr. DNA Mr Jannings Lee.